I know we’re only halfway through December, but for those of you crazy knitters out there who are hell-bent on producing knit gifts for all your loved ones… well it can be difficult to find the time, so quick knits are a big plus! Last year ruffle scarves were all the rage, and they still make for a great easy gift this year. Hands down the nicest, most luxurious ruffle scarf kit is the Rowan Kidsilk Creation (both the solid and the stripe versions). You can knit or crochet one of these out in an evening, no trouble! 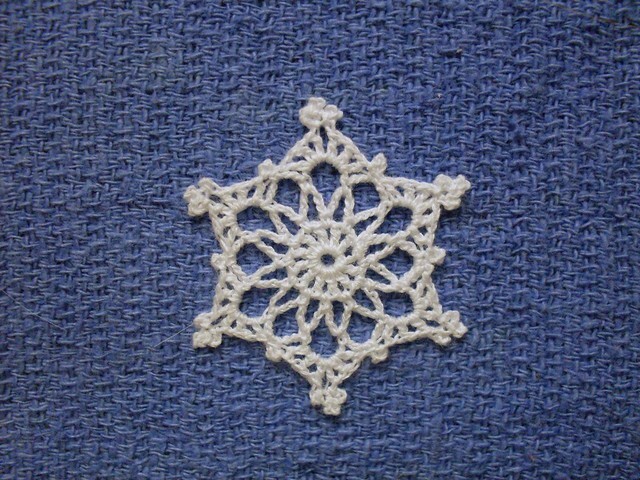 And today’s freebie is for the crocheters out there! I can’t find the exact pattern I was looking for right now, but HERE are a couple of dozen options for crochet snowflakes. We’ve got a bunch starched up, hanging on our tree and around the house. They work up pretty quickly, and are a lovely addition to your Christmas decorations. This entry was posted on Saturday, December 15th, 2012 at 10:00 am	and is filed under Uncategorized. You can follow any responses to this entry through the RSS 2.0 feed. Both comments and pings are currently closed.